Victoria Anderson is trapped in a wintry setting, searching for a man who doesn’t want to be found, and followed by two men determined to kill her. She’s driven the length of the east coast in search of Danny Wilcox, intending to convince him to return to Florida with her. The drug lord, the most wanted criminal in the Province of Quebec, has other plans. But Tori is nothing if not loyal. She unflaggingly defends Danny and refuses to believe he’d harm her, despite several attempts on her life. Others befriend her, as they covertly advance their own agendas. Tori’s devotion is tested at every turn, not knowing who she can trust, or the consequences of her ultimate decision. 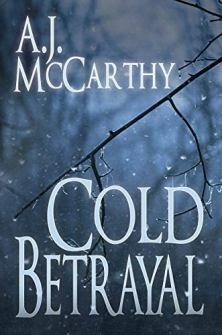 Cold Betrayal is a story about love, loyalty, and difficult choices, as Victoria struggles to survive in beautiful and deadly setting against unexpected adversaries.